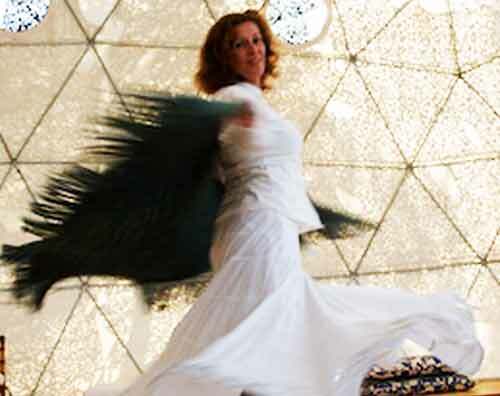 29.03 – 01.04 – Discover the Goddess, shaman and wise woman in you and celebrate your deep love for Mother Nature. Zorah and Ilona inviting you to experience the beauty and tranquility of the magical Ibizan mountains in this women-only retreat. Dance, sing, meditate; celebrating your passion and joy. You will weave, through rituals, powerful medicine into your life. 390 € plus meals and accommodation. During your stay in the exotic, eco-luxury of “Buddha House” retreat, high atop a mountain in the North of the island, you will also explore techniques that enable you to retain your beauty, stay fit in your body and learn delicious ways to enjoy a healthy diet. A retreat in the arms of the Mother Nature herself. Learn more about your hosts, Zorah and Ilona and this sacred, intimate retreat – or book your place. Soft music allows your imagination to fly to realms of inner peace and silence. The sacred space inside. Experienced hands flowing easily and gently over your body, going a bit deeper in places in need for deeper touch. The mind unwinding, the body relaxing and letting go more and more during the massage. Soothing the muscles and the joints, uplifting the spirit, opening the heart. What a pleasure, what a treasure! The perfect gift to yourself, or to the special someone in your life. You can even enjoy this sensual experience together with your loved one, side by side. The time has come to be generous with ourselves – and each other. 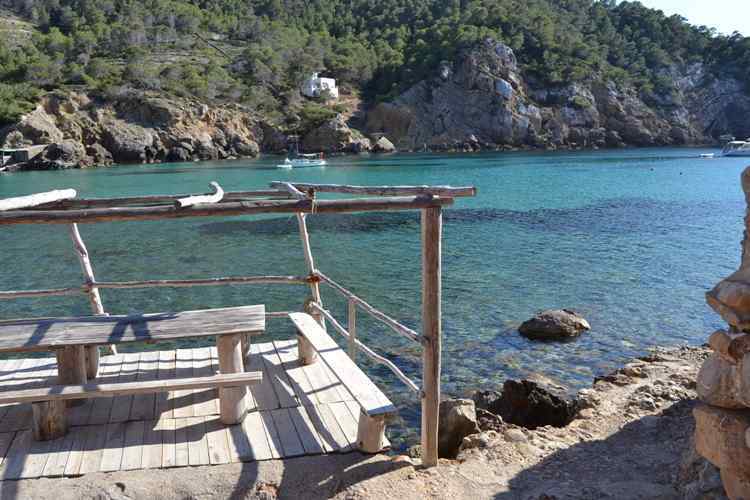 Email rejuvenate@ibizaretreats.com to book this gift for opening the heart and deepening the aaaaaaah. A wonderful teacher-friend, Arun, asks his students at the beginning of each class: what do you want to give today? We invite you, this Valentine’s month, to focus your yoga on giving. Giving to your body, giving to your being, giving to the world around you by giving the best of yourself, in your entirety. Giving is part of love – a core part of it. It takes the emphasis off “achieving” and naturally, creates a space for new energy to flow in. Yoga practice is so much more than an athletic workout – although the body-beautiful images that grace magazines often suggest this! Here are five simple steps to open your heart to your-self through your yoga practice, to enjoy a more loving and harmonious flow…. physically and emotionally, on and off the mat. 2. Explore the art of Pratyahara – withdraw your senses from the outside world – take your mind off our ego-based ideas of what you “think” you want to look like, of whether your asanas are picture perfect and focus your mind inwards, on how your body is feeling. 4.Continue this focus within your practice, softness, spaciousness, strength.… stress-release…. softness, spaciousness, strength…. heart-opening until you come to a seated, cross-legged, siddhasana, easy pose for inner-contemplation. 5. Keeping the same spaciousness and softness in the body and energy, now you have created this space within, listen to the quiet voice inside that comes from the heart. This is the voice of our inner-most world, our soul, our heart-felt feelings. This can be a place where peace can be found, where a space can open up for more love to flow as we let go of the “harder, stronger, faster, deeper” instructions from the mind and dive into the emotional center hidden within you. Listen in, feel, look inside for any resonance and just be, with whatever is coming. Allow any insights or ideas or thoughts to arise without judgement or attachment. This free-space of allowing is full of acceptance, which is a key quality of peace. March 28 – 1st April – Detox your lifestyle, springclean your life of unnecessary stresses, worries and responsibilities; with purifying Vinyasa Flow yoga, Life & Wellness Coaching, stress-release aromatic-oil massages all included, plus an A-Z of complementary therapies and delicious seasonal cuisine – Just Stop! and enjoy a happy body, happy heart and happy mind this springtime. From 795 gbp / 940 euros sharing, Experienced hosts Larah (founder of Ibiza Retreats) and Rebekah Fensome, both Holistic Life Coaches and Wellbeing experts, lead you on a journey into greater peace, with practical life-tools to support your progress back in reality. Refresh and recharge fully to embrace all that life has to offer, deepen your yoga practice, develop confidence in your asanas and pranayama ( breathwork ) techniques. Explore meditation, self-healing hypnosis, mindfulness. Refuel with Ibiza’s magical spring-time energy and bliss-out with the blue skies, sunshine, loving care of on-site therapists & bodyworkers Sandra & Shambala. Explore hidden beaches and secret turquoise coves… or just rest by the bio-pool, swim (or dip!) relax…. and be.